With the merger of Tony George’s Indy Racing League (IRL) with Champ Car, the opening event of this year’s IndyCar season, the Gainsco Auto Insurance Indy 300, will mark a new era of American open-wheel auto racing. IRL, which split from Champ Car’s predecessor, Championship Auto Racing Teams (CART) twelve years ago, succeeded financially while CART floundered. After CART went bankrupt and reemerged as Champ Car, IRL made the organization an offer they couldn’t refuse. Revving for a spot on the track along with top IRL teams like Andretti/Green, Ganassi and Penske, are newcomers Newman/Haas/Lanigan and Forsythe. 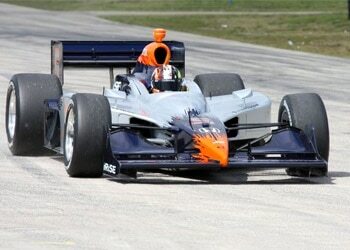 Drivers such as Andretti and Rahal will mix it up on the course along with Paul Tracy. While early races may feature a hodge-podge of former Champ Car teams finding their place in the fray, competition will grow fierce by the season’s mid-point. If you defected from U.S. open-wheel racing since the IRL-CART split, you’ll want to give it another chance now.